Digital transformation is one of the key levers behind leading fitness and music provider, Les Mills’, efforts to improve customer engagement across more than 17,000 clubs around the world, its CIO says. “We’ve gone from being a traditional business 15 years ago, with a wide reach globally but a pretty small team based in New Zealand, to wanting to service our markets better and be a lot more engaged one-on-one,” Aaron O’Brien told CMO during a recent interview at the Salesforce Dreamforce conference. Most of Les Mills’ products have been sold traditionally via a B2B model, with the business selling into gyms, which then provide these as classes to their members. Alongside that, the company is one of the biggest music covers companies in the world, and the largest distributor in the southern hemisphere. “Our point of difference is we have modern music, refreshed every quarter that is provided to the club,” O’Brien said. The business model is also very scientifically driven. 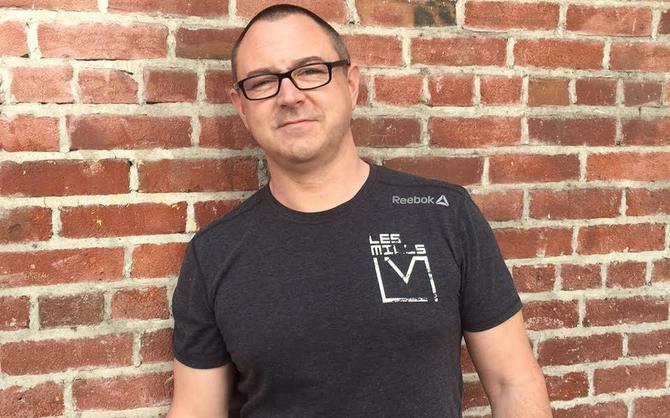 Not only is Les Mills’ chief creative officer, Dr Jackie Mills, a former athlete, specialist in nutritional medicine, an obstetrician and aGP, all Les Mills classes are verified by Penn State University. O’Brien claimed its other differentiator is training and helping the 100,000 instructors worldwide teaching these classes. “We refresh content we give to them every three months, so they get new music, new choreography and new training,” O’Brien said. “And a couple of times a year, they need to attend an event where they are constantly upskilled. According to O'Brien, Les Mills shifted into digital delivery a couple of years ago when it decided to move away from DVD music distribution to a digital platform that they could scale globally. At the same time, the company was keen to explore a closer relationship with its customers as it expanded, O’Brien said. Les Mills partnered with Canadian software company, Stantive Technologies, in order to create a more seamless digital solution to meet its growing needs. Using the Salesforce cloud-based platform, Stantive Technologies not only helped digitally transform Les Mills’ music distribution channel, it also created a more seamless and scalable customer engagement solution. Girvin said the Les Mills digital transformation process also means Stantive Technologies needed to solve a pressing intellectual property challenge that arose when moving from DVD to online. O’Brien highlighted a raft of other consumer behavioural and distribution challenges Les Mills needed to overcome during the digital transformation process. “When we started, we were using VHS tapes, and when we started shipping DVDs there was a certain percentage of people who said they don’t have a DVD player,” he said. “Then when we moved to digital, and there were 10-20 per cent who asked hang on, how do I get this thing from the Internet to my iPhone? So there was certainly a lot of education that was needed to communicate. Since Les Mills kicked off its digital journey, O’Brien revealed the music and fitness provider has gone out to 80 markets in just 18 months. Work doesn’t stop there, however. O’Brien noted the fitness industry is undergoing significant digital disruption as the next generation of wearables, augmented reality, virtual reality and immersive products takeover the end-user experience. “Everyone is talking about disruption at the moment, but the fitness industry is going through quite a revolution,” he said. “Look at how quickly we’re embracing wearables and how many ways there are to experience fitness and wellness. It’s not just about being in the gym anymore, it’s about embracing fitness as a complete lifestyle choice. As a result, we have to innovate at a faster pace than ever. Another area Les Mills is experimenting in is an immersive product in larger gyms, which is based around a 180-degree experience. Les Mills is also looking at virtual reality, which O’Brien predicted will be huge within the fitness industry. “We’re about providing amazing experiences - and it’s surprising that when you invest in the technology, how quickly you can get that,” he added. “We now have a lab going where we have classes where we’re experimenting with all the virtual reality headsets, which I think will become the next big thing. Moving to digital, O’Brien recognised the benefit of being able to track, test and measure at every touch point of the customer journey. In order to leverage end-user customer engagement, O’Brien said social channels had been particularly important for the business. Already, Les Mills has a number of active social teams operating in different markets, with a focus on video. O’Brien said much of the Les Mills engagement strategy is based around education and content, rather than hard sell tactics. “We want to have more of a partnership around the fitness lifestyle,” he said. “For instance, we do education around fitness, and around basic fitness - you’ll be surprised to know how many people don’t even know where to start. There’s so much information out there, they actually want the basics. Les Mills has also leveraged engagement with a younger audience by rolling out a children’s program to address what it recognised as an alarming child obesity epidemic, O’Brien said. “One of the things we’re really passionate about is that we’re still at heart, a family-owned business,” he added. “If you look at the predictions on health and the rates of child obesity, my CEO in particular cannot comprehend why Governments are not focusing on child obesity. “In 20-30 years, it’s going to be a really big problem. So we came up with a kids program, which wasn’t really about money, it was about more around how can we get fitness programs in schools, how we can get into gyms and we can get kids moving and really interested in fitness and activity, before they hit the gym age.